DAFC.net | Fire And Ice Can Make Things Nice! Both clubs come in to the match on the back of disappointing results in the William Hill Scottish Cup. The Pars went down 3-0 to arch rivals Raith Rovers in Kirkcaldy, whereas Morton lost 2-1 to East Fife in Methil. Lewis Vaughan scored a hat-trick to knick Dunfermline out the cup as a packed Stark`s Park witnessed an incredible 10 minutes. All was going well for the visitors as they dominated the play and the possession - albeit Robbie Thomson had very little to do. 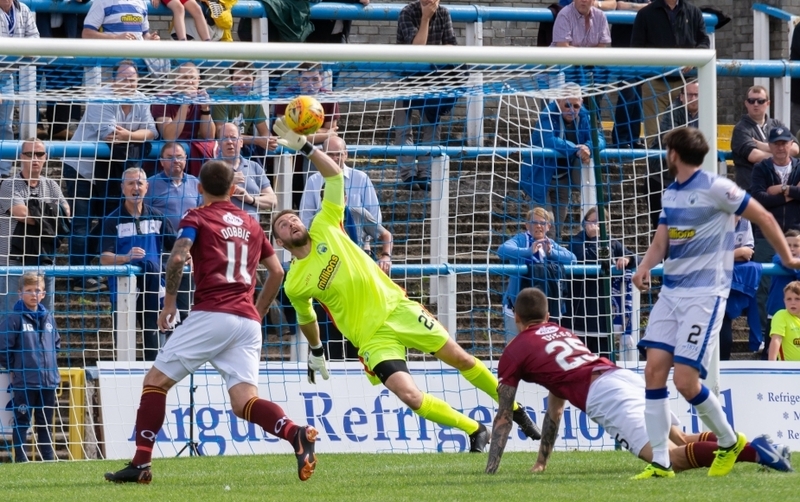 On the one ocassion he did, the former Cowdenbeath and Falkirk shot-stopper denied Myles Hippolyte from close range just before the break, in one of many pivotal moments within the tie. 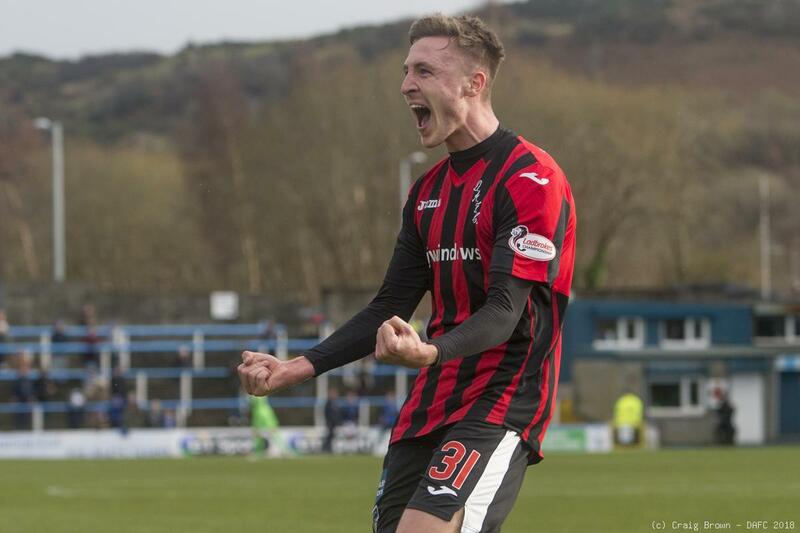 On 55 minutes, former East Fife striker Chris Duggan tumbled under a challenge by Pars captain Lee Ashcroft and off went the Dunfermline defender: no hesitation in Bobby Madden`s mind as he quickly brandished the red card. It took until 70 minutes for the Rovers to make the breakthrough though; Duggan was involved again, as he won his side a penalty after being wrestled to the ground by substitute Mark Durnan. It would be Vaughan to step up and rifle the ball home right footed, past the despairing Lee Robinson - who went the right way - but couldn`t stop the shot finding the back of the net. Nine minutes later and Vaughan would seal victory for the 11-men as he headed home Duggan`s cross after a swift move forward by the hosts. The strikers were both not picked up and it was all top simple for the Kirkcaldy club. John McGlynn`s men rubbed salt into Athletics`s wounds just 100 seconds later as a long ball caught out Devine who couldn`t clear in time, which allowed Vaughan through on goal and calmly scoring his and Raith`s third, as the Edinburgh-born attacker netted his first professional hat-trick. The players and management were hurting after the game. Head Coach Stevie Crawford said he`d see how much his side was hurting this Saturday at Morton while James Craigen billed the match in Greenock as "the biggest of the season", when he spoke to ParsTV, post-match. Having spoken to the Press on Thursday afternoon, Tom Beadling told the media that DAFC`s players need to have "fire in the belly, but, Ice in the head" if they are to collect 3 points from Cappielow. If the squad can remain level-headed and channel their anger in the right way(s), then, there`s certainly an opportunity for a victory in the road this weekend. To try and freshen things up slightly, Ryan Scully has been signed on a 6-month deal with the option of a further year. The ex-Partick keeper played 87 times for the Pars during a two-year loan spell at East End Park under the management of Jim Jefferies. The man between the sticks is now 26 and is hoping for regular first-team football, which he wasn`t getting under Jonatan Johansson, hence why the goalkeeper mutually terminated his contract with the Ton. Clearly, it is a coincidence that Scully would return in the buildup to the third clash between both sides this term. Ryan would love to make his second debut against his former team-mates, but, that is only if he is selected. Competition for places in the goalkeeping ranks has been minimal recently, with Sean Murdoch heading into his 13th month of rehab. Cammy Gill has pushed Robinson but the new coaching duo of Crawford and Greg Shields clearly feel a fresh face is required to get the best out of that department. It is one win and one draw against JJ`s side this season. A 1-1 draw in the former Finland international`s first home match earlier on in the campaign saw Dunfermline leave frustrated. Andy Ryan had put the Pars ahead but Allan Johnston`s side were pegged back late on as Livingston loanee Scott Tiffoney forced a mistake out of Robinson as the ball squirmed between his hands and into the net as both clubs shared the spoils. 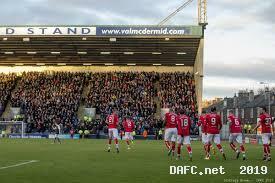 It has been 8 weeks since the clubs last met, with the Fifers running out 3-0 winners at East End Park. Aidan Keena struck early on that afternoon before Faissal El Bakhtaoui slotted home a penalty to double Dunfermline`s advantage. Craigen struck late on after GK Derek Gaston parried a shot at goal to put icing on top of the cake for the hosts. Now, both sides go into it with an inconsistent run of form ruining both clubs` hopes of a promotion playoff place. Losing 3 of their last 6 matches, Johansson`s side sit one place and 4 points above Dunfermline. The Ton have scored in their last 5 matches, with their 3 losses all finishing 2-1 during their most recent run. Two consecutive losses has saw Morton slip down the table; defeat to Alloa in Scully`s last match - which saw a calamitously own goal by Kerr Waddell gift a victory to the Wasps - before firmer Par Darren Young compounded things further for the under pressure gaffer as East Fife came from a goal down to knock the Inverclyde club out of the cup. Robby McCrorie and Andy Dallas have arrived on loan from Rangers on Friday afternoon as the Ton look for their own reaction. With an experienced spine to the team, it will not be an easy match for Dunfermline but with the right attitude, belief and support, they`ll give it a right go and hopefully that is enough to give Crawford his first victory during his managerial tenure of the West Fife team.